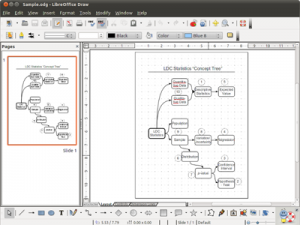 LibreOffice (the successor of OpenOffice and StarOffice) is a power-packed open source personal productivity suite for Windows, Mac OS X and Linux that gives you six feature-rich applications for all your document production and data processing needs: Writer, Calc, Impress, Draw, Math and Base. 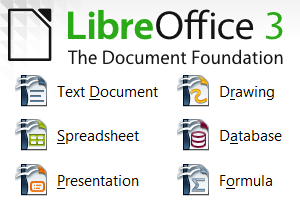 LibreOffice can read and write Microsoft Office documents and create PDF files. LibreOffice has a simple-to-use yet powerful interface that is easy to personalize – Microsoft Office users will find the switch painless. Read about switching and the success story of the French military police. 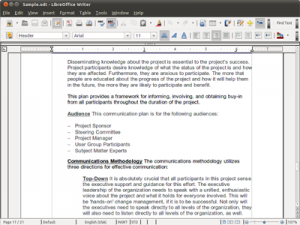 LibreOffice can read and write OpenDocument files. Supporters include Google, Novell and Red Hat. We evaluate your exact requirements and advise on the best LibreOffice solutions. Writer has all the features you need from a modern, full-featured word processing and desktop publishing tool. Writer easily reads Microsoft Word documents, and you can also save your work in Microsoft Word format. 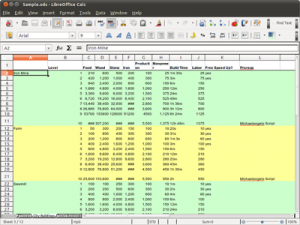 Calc is the spreadsheet program you’ve always needed. Newcomers find it intuitive and easy to learn. Professional data miners and number crunchers will appreciate the comprehensive range of advanced functions. You can also open Microsoft Excel spreadsheets, and can also save your work in Excel format. Impress is a truly outstanding tool for creating effective multimedia presentations. Your presentations can be enhanced with 2D and 3D clip art, special effects and transition styles, animations, and high-impact drawing tools. You can also open Microsoft PowerPoint files, and save your work in PowerPoint format. Alternatively, you can use the built-in exporter to create Flash (.swf) versions of your presentations. Draw lets you produce anything from a quick sketch to a complex plan, and gives you the means to communicate with graphics and diagrams. Draw is a an excellent package for producing technical drawings, general posters, and much else. Base is a full-featured desktop database front end, designed to meet the needs of a broad array of users, for all kinds of usages. 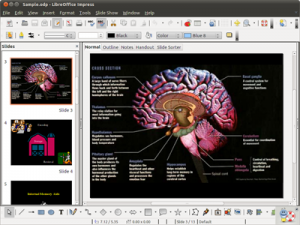 Base is perfectly integrated with the LibreOffice suite’s other applications. For example, Base can supply address book data for mail merges in Writer using the industry-standard LDAP protocol or using commonly-seen address book formats such as Microsoft Outlook. 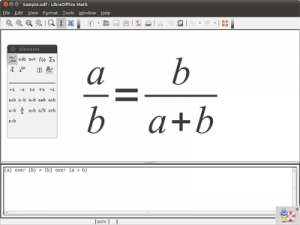 Math is the LibreOffice suite’s formula editor, that can be invoked in your text documents, spreadsheets, presentations and drawings, to enable you to insert perfectly-formatted mathematical and scientific formulas. Your formulas can include a wide range of elements, from fractions, terms with exponents and indices, integrals, and mathematical functions, to inequalities, systems of equations, and matrices.